The best trade show exhibitors are constantly on the lookout for new, creative trade show booth ideas that differentiate their exhibits from the competition and attract large numbers of booth visitors. The best way to find creative and new ideas is to attend show outside of your exhibit industry and see what others are doing. See which booth designs attendees react to the most and which promotional concepts attract the biggest crowd to their booth. To engage customers and prospects who were unable to attend the trade show, record a video and post it on your website. The webcast can take the form of a live “news program” featuring staff members who share the latest news about the industry and your products. Or, you can show product demonstrations and feature interviews with booth visitors. You can easily create the video using your phone or camera to keep your budget low. Use a host such as YouTube and link it to your website. A private conference area or room in the back of your booth area to talk one-on-one with highly interested prospects. Make sure the meeting area is well-lit and complete with sales materials, paper and writing instruments. Having refreshments in the mini-conference area is always a plus, ex. Coffee, water, cookies, etc. as well as imprinted giveaway bags filled with your company’s sales sheets and promotional items. To make your display area stand out in the exhibition hall, use strong graphics and large signage. Consider using tall hanging display signs that extends over the booth area to help people locate and identify your booth. Unique hanging sign shapes also attract attention. Have exhibitor’s staff wear the same company-branded uniforms that includes the organization’s name, logo and website. This sends a message that your team is professional and cohesive. Have a drawing to give away the same or similar company shirt with your logo each hour or day-part. This is an excellent way to collect leads information from high-opportunity prospects. Have crowd attractions such as prize wheels in your display area to draw people in so your team can engage them in discussion about your products and services. Prize wheels can include coupons that can be used towards your services. Online and social marketing opportunities such as webinars, blogs, online videos, Twitter and Facebook are great free resources to complement traditional marketing methods before, during and after the show. Use digital photography at your booth to take photographs of visitors in front of a Step and Repeat banner display containing your company logo. Hand out flyers with your website information where they will be able to find their picture. People will have fun and love to get pictures of them taken. 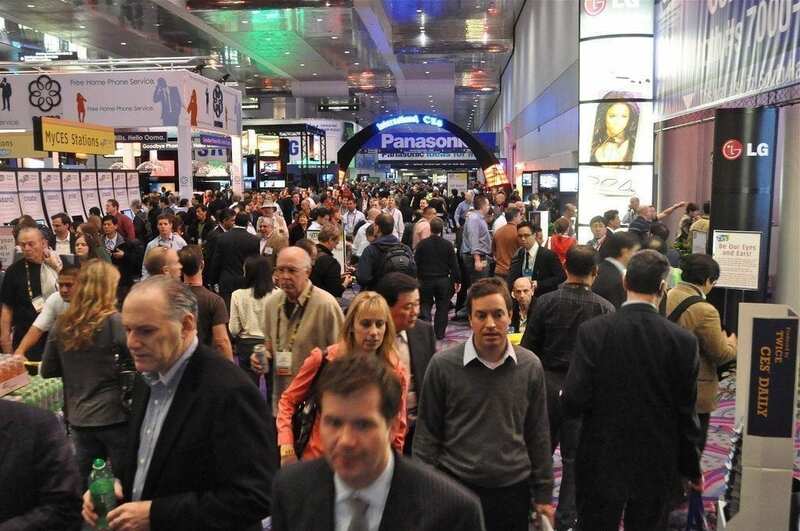 The traffic to your booth and website will be a powerful marketing tool long after the trade show is over. Feature live product demonstrations to engage booth visitors and create awareness for your product and its distinctive advantages. People are visual and the interaction will help them remember you over the competition. Have a trade show magician or booth entertainer to attract exhibit traffic. Event performers meet with exhibitors before the show and incorporate the client’s product information into their acts to help complement sales initiatives.